Indian farmers and the sacred elephants besieging their villages, and introduce them to a shaman whom some believe can cure the most serious depressions. We meet the great Afghan warlord Ahmed Shah Massoud--said to have been the finest guerrilla fighter since Ho Chi Minh--encounter a yeti with legendary mountaineer Reinhold Messner, and much more. 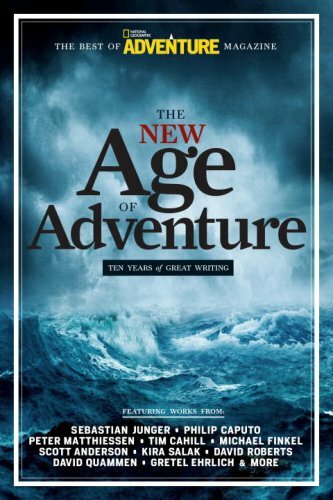 This is a wide-ranging collection for every road warrior and adventurer--armchair or otherwise--culled from the much acclaimed journal that in its first ten years has won millions of devoted readers and garnered more than a dozen prestigious prizes for excellence in journalism. of the wreck of the swordfishing boat Andrea Gail, The wreck took place during what one meteorologist called a "perfect storm"--a storm with the worst possible conditions. In order to relate the story of a disaster that left no survivors and had no eyewitnesses, Junger used a combination of sound research, technical detail, and personal insight to reconstruct the final hours. After the publication of this book he was nicknamed the new Hemingway. In 2000, this book was made into a film starring George Clooney and Mark Wahlberg. He wrote several books such as War which is about his time spent with a U.S. Army platoon in Afghanistan. At the Sundance Film Festival in 2010 his documentary Restrepo won Grand Jury Prize for a domestic documentary.